Can I Go After My Husband’s Stock Options and RSUs in a Divorce? Going after your spouse’s stock options and RSUs during a divorce can be tricky, mainly because the value will change over time. For instance, your spouse’s company may release a disappointing quarterly earnings estimate, which may result in a steep drop in stock prices. The value of the stocks will not become fixed until your spouse decides to exercise his options and cash out, or until the RSUs vest. There are two main ways to divide stock options and RSUs. Your spouse can either write you a check based on the value now, or you can receive your portion when your spouse exercises his options or the RSUs vest. Both methods carry their own advantages and disadvantages. If your spouse cuts you a check for the value of the options and RSUs now, you may miss out on future gains, especially if the company is still in the startup phase. However, most startups fail miserably, so by getting the value of the options upfront, you are also eliminating the risk of future drops in value. Your spouse may want to wait to pay you until he has exercised his options so that you both share the risk together. Many companies offer their employees stock options that will vest after the employee has worked for a company for a certain number of years as a strategy to retain that employee. What happens if your husband or spouse had a load of unvested stock options and RSUs that will vest in another year? Don’t let your spouse or your spouse’s lawyer claim that these unvested options are worthless. They aren’t! One common way the courts have divided these options is like this: Let’s say that Steve joins a company and receives 1,000 stock options that will vest in five years. In year three, Steve and his wife Angela get divorced. A judge may consider 3/5ths of the options to be shared martial property, since Steve and Angela were married for three of the five years that the options were in the vesting process. If Angela lives in a community property state, like California, she will be entitled to half the value of the unvested options that are considered marital property. Don’t Leave Out Stock Options! Not every wife knows all the ins and outs of her husband’s or partner’s compensation package. If you are considering a divorce, try to find out if your spouse received stock in his company, stock options, or RSUs. 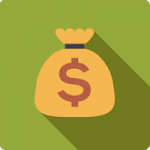 If he received these assets while you were married, they are part of your shared marital property, which means you are entitled to a portion as part of your divorce settlement. Learn where to search for hidden assets as well as other useful divorce information in our divorce article archive. 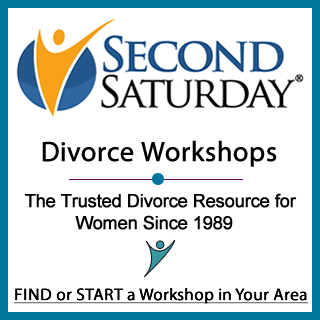 You can also hear directly from divorce experts by attending a local Second Saturday Workshop near you! Does it matter that he bought a stock option plan before we married? But then executed cashing them in while we were married? Plus, we were living in europe at the time. Does that matter?